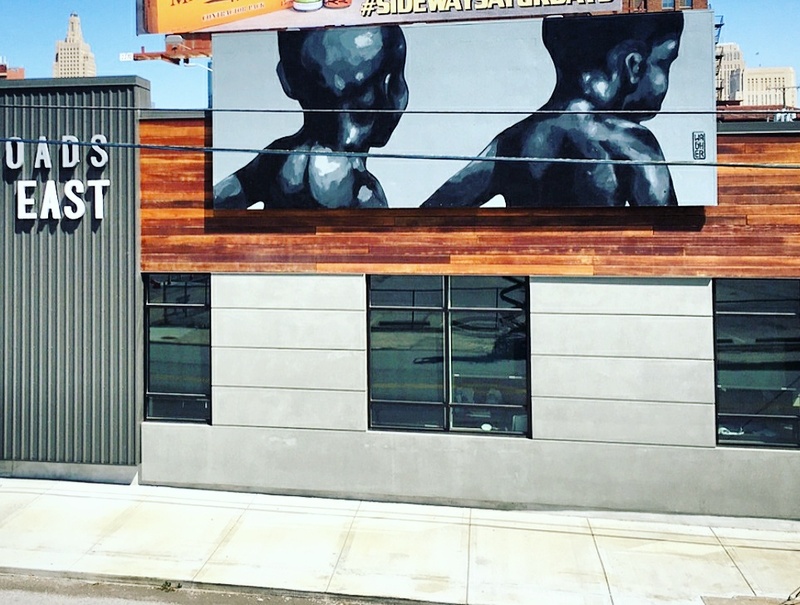 Kansas City is experiencing a major cultural expansion, and it's epicenter lies in the Crossroads Arts District. With the Solar Eclipse touching down in our hometown, we decided it was a great time to take advantage of the extra national attention. That's why we brought in some of the best street artists from around the country, and even the world, to commemorate the short but monumental 3-minute event and make it last a little longer. If you've ever taken a trip to Miami, you've more than likely seen Wynwood and its walls. You may also be more familiar with the Bushwick area in Brooklyn or the mural-covered city of Philadelphia. These street art mecca's are world-renown and draw hundreds of thousands of tourists every year. Kansas City has a rich history of art, especially painting, as well as an incredible focus on art for the public, for everyone. From world-class museums with free-admission, the countless galleries and pop-up spaces supporting artists, a thriving First Friday Art Walk, to decades of murals gracing our buildings throughout the districts and neighborhoods. Our goal is to continue to grow and propel KC's Crossroads into a similar mural-laden district; an art-mecca of our own midwest design. We are celebrating this truly incredible Arts District and making it known as an art-rich destination with a strong street art presence. In a week's time, we transformed the visage of the Crossroads with 20 new murals by 24 different painters (12 visiting & 12 local) with the help of 20 financial sponsors and 14 major in-kind contributors! We also celebrated with 3 gallery exhibitions, 2 nights of live music, 1 amazingly delicious coffee collaboration, and of course all the energy and participation from everyone around the city who came out to watch, discover, party, and helped us make our premier festival one to never forget! THANK YOU! Check out this MAP to visit the murals in person! Wiley + Annavee + Ackzilla! A giant THANK YOU and round of applause to all our sponsors, patrons, donors and contributors! SolaNoir was made possible by the generous support of our community, we could not have done this without your help and support! It is our absolute pleasure to add to the creative development of this incredible Crossroads community!